The inaugural New Directions in the Psychology of Technology Research Conference was held at the University of Southern California in Los Angeles on October 21st and 22nd, 2016. The event was sponsored by the USC Marshall School of Business, with assistance from the UC Berkeley Center for Cybersecurity and USC’s Institute for Creative Technologies. Maarten Bos is a Research Scientist at Disney Research, which is an innovation lab of The Walt Disney Company. He received his Ph.D. in behavioral science from the Radboud University in The Netherlands. Maarten started at Disney Research in 2013, after working as a post-doctoral research fellow at the Harvard Business School. He leads a group of behavioral scientists, with the mission to make people feel better and be better. Peter Carnevale studies negotiation and third-party mediation. He has published two books and more than 100 articles in leading scientific and management journals on this topic. Carnevale has served as the President of the International Association for Conflict Management, the premier association of scholars in the study of negotiation and social conflict, and as an adviser on negotiation and organizational conflict to many organizations and governments. His current research investigates the role of emotion expression by artificial humans (e.g., “avatars”) in negotiation. Elizabeth Dunn is a professor in the Department of Psychology at the University of British Columbia. Dunn conducts experimental research on self-knowledge and happiness, with a current focus on how mobile technology can both support and undermine human well-being. She is the co-author of “Happy Money: The Science of Happier Spending” (Simon & Schuster) with Dr. Michael Norton. Jonathan Gratch is the Director for Virtual Human Research at USC’s Institute for Creative Technologies, a Research Full Professor of Computer Science and Psychology at USC and co-director of USC’s Computational Emotion Group. He completed his Ph.D. in Computer Science at the University of Illinois in Urban-Champaign. Dr. Gratch’s research focuses on computational models of human cognitive and social processes, especially emotion, and explores these models’ role in shaping human-computer interactions in virtual environments. Rosanna Guadagno is an Associate Professor in Emerging Media and Communication, with a joint appointment as an Associate Professor of Psychology. Her research interests focus on the confluence of three main areas: Social Influence in Mediated Contexts; Psychological Processes in Social Media, Video Games, and Virtual Environments; Gender Roles. Jeff Hancock is a Professor in the Department of Communication at Stanford University. Hancock and his group work on understanding psychological and interpersonal processes in social media. They specialize in using computational linguistics and experiments to understand how the words can reveal psychological and social dynamics, such as deception and trust, emotional dynamics, intimacy and relationships, and social support. David Hoffman leads the People Analytics Bets team at Google, which develops products that utilize People Science and Technology to drive quantifiable behavior change in Googlers to improve their productivity, well-being and happiness. David has been at Google with the People Analytics team since 2011 and has used data to influence people policies and programs since 2006, when he joined Capital One’s Workforce Analytics team. David’s work has been featured by The Conference Board in their publication on innovative evidence-based human resources. He is very happy to be applying the skills he learned in the positive psychology-influenced world of Google People Operations, helping people have positive experiences at work. He lives in Palo Alto with his wife (and fellow Googler) Kara, twin daughters Adele and Charlotte, and too many animals. Andrea B. Hollingshead is Professor of Communication and Associate Dean for Research at the USC Annenberg School for Communication and Journalism. Professor Hollingshead studies the relations between group communication, cognition and performance, and has worked in the area of groups and technology for many years. Her most cited publication is a coauthored book with Joseph E. McGrath: “Groups Interacting with Technology” published in 1994. Sara Kiesler is Hillman Professor of Computer Science and Human Computer Interaction at Carnegie Mellon University. Kiesler applies behavioral and social science methods and theory to technology design, especially to understanding how technologies challenge existing behavior patterns of individuals, groups, and organizations. She conducted among the first scientific studies of computer-mediated communication and early forms of the Internet. Sara Konrath is an Assistant Professor of Philanthropic Studies at the Indiana University Lilly Family School of Philanthropy. She received her Ph.D. in Social Psychology from the University of Michigan in 2007. Konrath is the director of the Interdisciplinary Program on Empathy and Altruism Research (iPEAR), a research lab with a primary focus on motivations, traits, and behaviors relevant to philanthropic giving, volunteering, and other prosocial behaviors. In her current work, she is using mobile phones to implement empathy-building programs. Ethan Kross is a Professor in the Department of Psychology at the University of Michigan and the Director of the University of Michigan Emotion and Self-Control Laboratory. His research explores how people can control their emotions to improve our understanding of how self-control works, and to discover ways of enhancing self-control in daily life. He adopts an integrative approach to address these issues that draws on multiple disciplines within psychology including social, personality, clinical, developmental, and neuroscience. Bertram F. Malle is Professor of Psychology in the Department of Cognitive, Linguistic, and Psychological Sciences at Brown University and Co-Director of the Humanity-Centered Robotics Initiative at Brown. 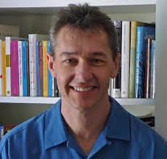 He was trained in psychology, philosophy, and linguistics at the University of Graz, Austria, and received his Ph.D. in Psychology from Stanford University in 1995. His research focuses on social cognition (intentionality, mental state inferences, behavior explanations), moral psychology (cognitive and social blame, guilt, norms), and human-robot interaction (moral competence in robots, socially assistive robotics). Brian Scassellati is a Professor of Computer Science, Cognitive Science, and Mechanical Engineering at Yale University and Director of the NSF Expedition on Socially Assistive Robotics. His research focuses on building embodied computational models of human social behavior, especially the developmental progression of early social skills. His other interests include humanoid robots, human-robot interaction, artificial intelligence, machine perception, and social learning. Ben Waber is President and CEO of Humanyze, a behavioral analytics company based off of my research. He is also a visiting scientist at the MIT Media Lab, where he received his PhD in the Human Dynamics Group working with Prof. Alex (Sandy) Pentland. Waber was previously a Senior Researcher at Harvard Business School in the Organizational Behavior group. His work centers around using real time data flows to rethink management of people, physical architecture, corporate planning, and training.